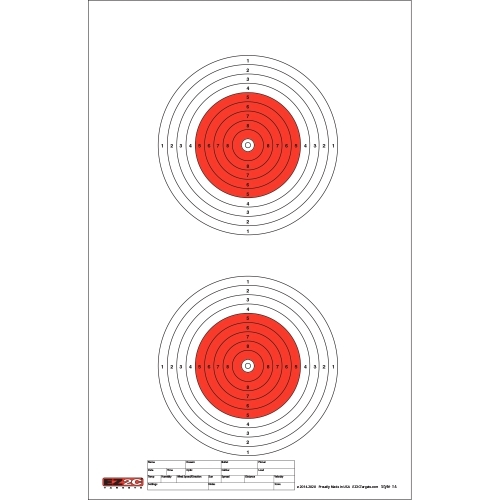 EZ2C is proud to manufacture this 50 meter target for air rifle enthusiasts. This style features two 6.1" (155 mm) targets. Be sure to keep score with your rounds, every ring has a 1 through 10 point value. Targets are on 11" x 17" High-Quality Bright White Paper. They are Conveniently Packaged with 25 Paper Targets per Pad.